Physicians in Canada’s most populous province wrote about 25,000 fewer opioid prescriptions for “new-start” patients in 2016 than they did in 2013, a decrease of 2 per cent. Physicians in Canada's most populous province wrote about 25,000 fewer opioid prescriptions for "new-start" patients in 2016 than they did in 2013, a decrease of 2 per cent. "The good news is it is declining a little bit," said Joshua Tepper, a Toronto family doctor and the president of Health Quality Ontario (HQO,) the provincial agency that published the new report on Thursday. "What we're seeing in this data – we hope – is a cresting and that we're really starting to see an inflection point or a pivot point in the prescribing pattern." 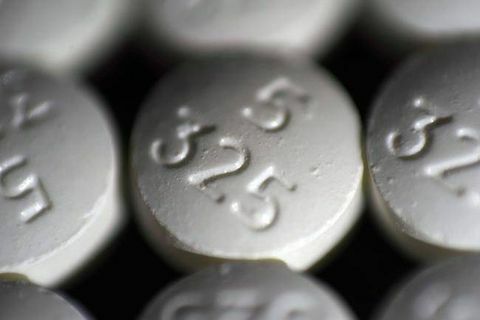 Still, Dr. Tepper and other experts said they expected the decline to be steeper, given the widespread attention to an opioid-overdose epidemic that is rooted partly in the overzealous prescribing of drugs such as oxycodone and hydromorphone. The spread of illicit fentanyl has deepened Canada's opioid crisis: The number of opioid-related deaths across the country in 2017 is expected to top 4,000 once all the figures are tallied, the federal government says, a significant increase from 2,861 such deaths the year before. Given all that, it's a "surprise" that the prescribing behaviour of Ontario's doctors has not changed more dramatically, said Benedikt Fischer, a senior scientist at the Centre for Addiction and Mental Health (CAMH) in Toronto. "I would have expected, especially during this time period when we started to pay attention to opioid use and overprescribing and their harms, that the number of new starts would have gone down more," he said. The authors of the new HQO report drew on the province's narcotics monitoring system to examine all the opioid prescriptions filled between 2013 and 2016 by patients who had not been prescribed an opioid in the past six months. The analysis excluded opioid-containing cough medicine, opioids prescribed for patients in palliative care and opioids used in the treatment of addiction, such as methadone. It also excluded prescriptions for hospital inpatients and prisoners. The report found that some Ontario prescribers are still starting new users on dangerously high doses of opioids, despite good evidence that such doses increase the risk of addiction. That indicator was down slightly for family doctors and dentists, but up for surgeons, the study found. Among the new-start prescriptions for opioids written by a family doctor, 9,704, or 1.7 per cent, began at a dose that exceeded the equivalent of 90 milligrams of morphine a day, down from 12,556 prescriptions, or 2 per cent of the total, in 2013. Ninety milligrams of morphine equivalent is the potency cut-off that doctors should not exceed when starting new patients on opioids, according to Canada's official guidelines on opioid prescribing for patients with chronic, non-cancer pain, which were released last year. The HQO data end in 2016, before the new Canadian guidelines were released, but after other major health-care organizations, including the United States Centers for Disease Control and Prevention, endorsed the same limits. The Canadian guidelines do not address opioid prescribing for acute pain – the kind of pain caused by a broken bone or a surgery. However, HQO, which also advises the Ontario government on improving its health-care system, has put out draft versions of its own forthcoming advice on opioid prescribing in both chronic and acute cases. When it comes to acute pain, the organization says that patients should be given the lowest possible effective dose of opioids and that a prescription of three days or less is usually sufficient. Prescriptions that last longer than seven days are "rarely indicated," for acute pain, the draft HQO guideline says, because the longer patients use opioids, the likelier they are to get hooked. The new report found that Ontario surgeons – the physicians likeliest to treat patients with acute pain – actually started more patients on doses of opioids that exceeded 90 milligrams of morphine equivalent a day in 2016 than they did in 2013. Meanwhile, more than one in 10 new-start opioid prescriptions from surgeons were for a supply longer than seven days in 2016, largely unchanged from 2013. "A lot of the messages around promoting more appropriate prescribing have really focused on family doctors," said Tara Gomes, a scientist at St. Michael's Hospital in Toronto and an expert on opioid prescribing patterns. "Perhaps that message really hasn't percolated to the surgeons as much." The new Canadian guidelines on opioid prescribing for chronic-pain patients do not suggest an appropriate duration for an opioid prescription, but experts say it's often a good idea for doctors to write shorter prescriptions so that chronic-pain patients can be checked on frequently.